Press Release – New York, NY – March 20, 2017 – Sichenzia Ross Ference Kesner LLP announced today that the Firm has represented Takung Art Co., Ltd (NYSE:TKAT) in the Company’s uplisting to the NYSE MKT. 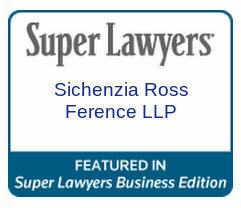 The Sichenzia Ross Ference Kesner LLP team was led by Senior Partner, Benjamin Tan. “We are thrilled and honored to be Takung’s counsel and offer our heartiest congratulations to the Company. Takung is one of the first few China-based companies to successfully uplist to the NYSE MKT in recent years and we are especially proud to be part of their success,” said Mr. Tan.